Fremantle – A Perfect Storm of Commercial Crisis and Bad Management? Fremantle is in the grip of a commercial and social decline. Is there a case for a ratepayers’ association to be formed to help retain the lifestyle cherished by residents and visitors alike? Thirty years ago the advent of the America’s Cup accelerated a process which had been simmering, serving the needs of citizens adequately. The term ‘Fremantle lifestyle’ was coined and contrary to popular opinion the city was thriving well before The America’s Cup arrived. When it was lost the city was left with little more than fading posters behind the counter in Gino’s to remind us of the event. Radical Plans or Panic Stations? 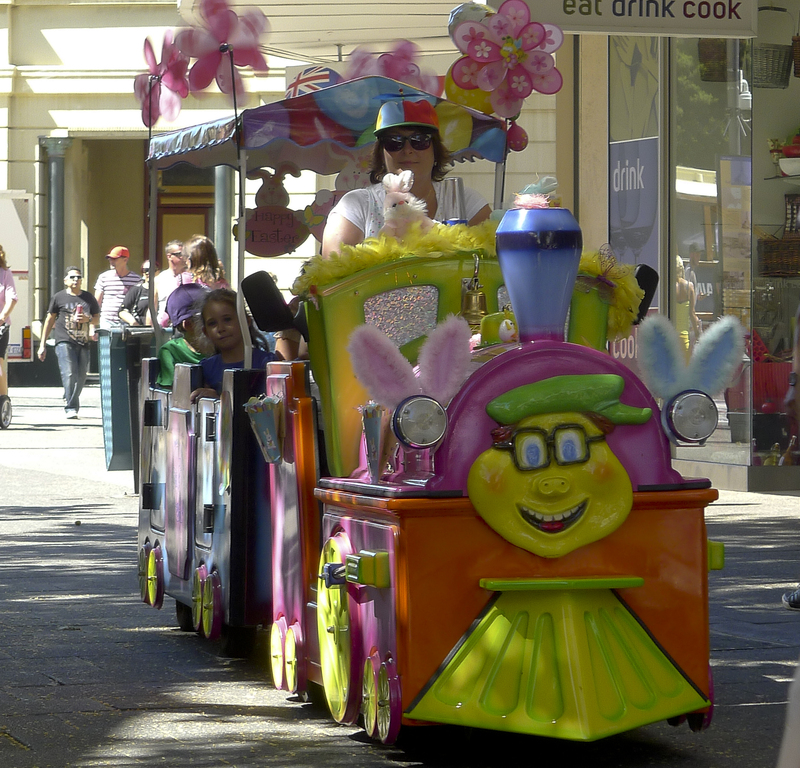 In recent years Fremantle, like many societies throughout the world, has experienced a decline in retail trading which has led to the current council planning reforms to guide Fremantle into the future. Some critics say this is unplanned panic, others point to opportunism led by developers who have formed a tunnel vision of the future. The slogan is ‘sustainability’, the vehicle is ‘high rise, high density’. For good reason citizens cherish the lifestyle offered by the city. Fremantle still embraces a reputation of being a working man’s community; artisans and academics rub shoulders with wharfies, fishers and, we hope for a long time into the future, doctors and nurses based in an excellent (though ugly) hospital. We have also become a bona fide university locale which, in many respects, has elevated the city’s profile. Notre Dame have nurtured many historic properties but have also been criticised for isolating the community from the west end of the city. During a recent discussion hosted by Notre Dame University a panel of students were invited to outline their vision for the future of Fremantle. Most of them would not have been born by 1983, before the America’s Cup placed Fremantle front and centre on the world map, but interestingly all of the student panelists outlined a vision of the city which actually existed from the mid 1970s (and possibly before then) though to the late 80s. The scholars painted a perfect picture of a variety of shops, better parking facilities, cleaner streets, less anti social behaviour. Only one student suggested high density living and none espoused high rise. Should we look over the bridges for answers? An observation of some other communities suggests that the current council may have got their visionary solution in the form of Scheme Amendment 49 wrong. It would not take an hour or two to travel to the center of, say, Swanbourne and observe the variety of shops, the free parking, the trees, the proximity of a railway station, the congenial atmosphere. Nor would it take long to study Napoleon Street in Cottesloe and its adjoining thoroughfares. Angove Street’s charm seems to have been achieved with little more than a coat of paint and the imagination of local traders. 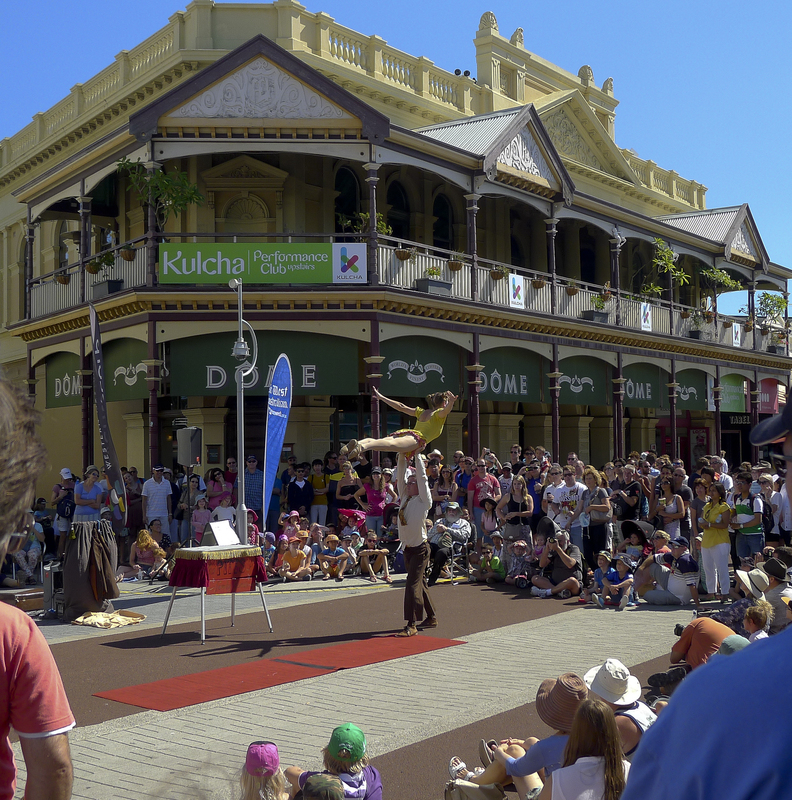 Highgate and Oxford Street in Leederville also come to mind as areas which offer a Fremantle style of life. All of these centers have several common features: Low rise buildings, a variety of retailers, readily available free parking, attractive street furniture and low density to medium density housing. What they do not have is a plethora of booze barns or the nightmare of nightclubs and hotels which nurture excessive drinking and drug use and appear to stimulate street violence and vandalism. Anti social behaviour has encouraged traders in Fremantle’s High Street Mall to employ private security guards. Anecdotal evidence suggests that it has been an effective move but for a society which already employs one of the largest per capita and highest paid police forces in Australia, indeed the world, it is not a good sign. A well managed police force is an essential core element in any community and indicative of a well managed democracy but if rumours are to be believed the Fremantle council is frustrated with the lack of action promised by the police. This frustration is shared by residents. Broadly speaking Fremantle’s population appears to have little desire for high rise, low quality development. The vast majority wish to maintain and nurture the Fremantle lifestyle. They appreciate development is essential but the proposition of high rise in the city has not been widely accepted and will most likely, given council intransigence, see a few seats changed at the next council election. There is solidarity in the council chamber but that has not translated into trust among the public. There is broad discontent among traders and ratepayers of Fremantle and a mantra of anger from the public which struggles to be heard. Antisocial behaviour, parking issues, inefficient policing, booze barns, night clubs, high rise office plans as well as the rebirthing of King’s Square are not seen as beneficial to the lifestyle of the community. What was effectively presented as a fait accompli in relation to the King’s Square redevelopment is now being opened to international competition which may produce innovative plans rather than CODA’s computer generated offering. Such a competition should have a positive outcome but will depend upon the design parameters set by council. The current generation of artisans who gave Fremantle a cultural boost are being forced from town by high rents and, in the case of Arthur Head’s J shed, a lack of secure tenure. High rents and rates have impacted on the ability of a variety of traders to survive. In many cases rents have doubled, tenants have walked away from leases and commercial premises have remained empty for years. Streets are deemed dirty, Fremantle is seen as scruffy, rates have increased, council staff have increased – and services have decreased. But within this decline the city still nurses a vibrant lifestyle. We have several beautiful beaches, a crystal clear ocean and a lifestyle Californians and Europeans dream about. A warm evening spent on the fabled Coffee Strip – a boulevarde of baristas – watching a parade of prized cars, a stimulating procession of high heeled fashion and listening to the rhythm of buskers, is pure magic. 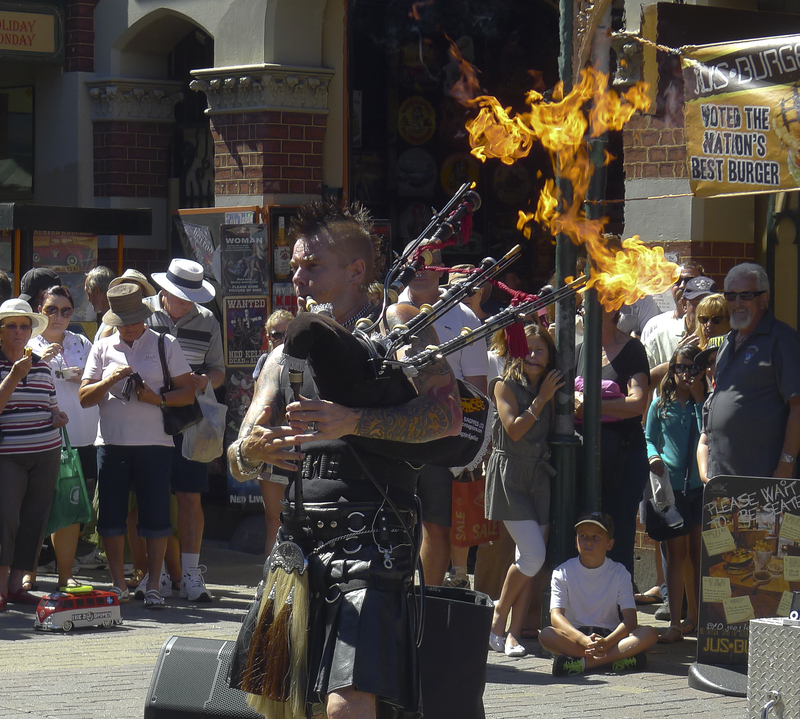 Fremantle is not known as the City of Festivals without good reason. Almost every weekend has something fresh on offer. This effervescent lifestyle must be protected. Is the city is rolling, towards a financial and structural abyss from which it may not recover for decades? The mayor protested that he was misinterpreted in a newspaper article related to cooperation between the council chamber and administration but one councillor has broken ranks and said the situation is not good, that it is difficult to initiate the wishes of the elected councillors. If the administration is not achieving the council chamber’s edicts and if the council members are turning a deaf ear to public opinion Fremantle could face the perfect storm of a social, economic and structural disaster. 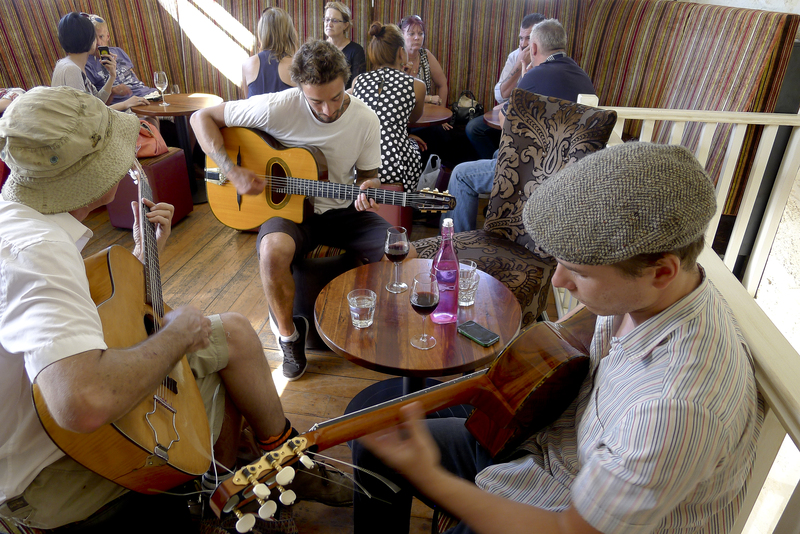 Action groups have become a growth industries in Fremantle. There are several established and embryonic groups spawned from the public and traders’concerns for the city’s future direction. The Fremantle Society, once a powerful voice in the city; the Save Our Beaches Campaign worked miracles (and is being called upon to do so again); the Fremantle Inner City Residents’ Association (FICRA); the West End Traders’ Association, formed to deal with the obvious problems traders face; BID, financed by ratepayers and recently G4F (Group for Fremantle) became the new kid on the block. These groups together with the precincts could concentrate their common interests and form an effective umbrella organisation designed to keep the council in line with residents’ aspirations. Simply put the city may need a ratepayers association, an organisation to make the council chamber and the administration accountable to the public and city traders. It would not be difficult to form such a body. Existing and embryonic groups could jointly create a team from their membership and become the most compelling public voice the city has heard. Non of the organisations need lose individual identities but could effectively promote mutual interests as well as their own. They could become a strong body of opinion – a focused action group to ensure the Fremantle way of life grows from strength to strength for all stakeholders. Fremantle BackChat is designed to facilitate discussions which relate to Fremantle. Space is available to anybody who wishes to make comments and Fremantle Backchat will allow debates to continue for as long as necessary. Fremantle is facing changes, notably those which surround the development of the East End and the CBD. It is anticipated that Fremantle BackChat will encourage people to voice their opinions on any issue of interest. Comments will only be published if full names of contributors are available together with an email address. Email addresses will not be published but names will only be withheld if contributors have valid reasons. Comments may be emailed or made in the section below each article.